October is Fire Prevention Month, and just because it's at an end is no reason to forget the related dangers. The mental_floss staff would like to take a few moments at this time to remind our readers of the importance of fire safety all year long. To emphasize the necessity for preparedness, we offer the third entry in our series (see previous entries here and here) to relate the true stories of some very tragic fires. Walton Little, a computer engineer with a pilot’s license, was bass fishing in the L67 canal of Everglades Holiday Park on the afternoon of May 11, 1996. He heard the roar of a jet engine that seemed very close, so he looked skyward, thinking that perhaps an air show was taking place at Miami International Airport, 17 miles to the west. But instead of a military plane he saw a DC-9 passenger jet flying very low and banking steeply to the right. Seconds later, it plowed nose-first into the sawgrass and muck of the Florida Everglades. Little immediately dialed 911 on his cell phone and reported the crash. The tragedy of Flight 592 is an extreme example of what can go wrong when an employee simply “signs off” on a seemingly mundane project during the work day without thoroughly reviewing his duties. John Taber, Eugene Florence and Mauro Valenzuela were mechanics for SabreTech, an aviation subcontractor hired by ValuJet. They had been assigned the task of removing and replacing the oxygen generators from two McDonnell Douglas MD-80 jetliners in a hangar at Miami International Airport. ValuJet had recently purchased the two planes from Adria Airways, and the generators were nearing the end of their 12-year lifespan. (Oxygen generators are small metal canisters tucked away in the cabin ceiling of commercial aircraft that create the oxygen that is delivered through passenger masks. Once ignited, the exterior surface of an oxygen generator can reach temperatures up to 500 degrees Fahrenheit.) SabreTech crew chief Jude Casimir gave the mechanics routine work cards which explained the step-by-step procedure for removing and storing the generators, and which required a separate signature for each step completed. Taber noted that the canisters were missing safety caps, something specified on the work card (and which are required by federal law), but Casimir told him that “the company didn’t have any.” Over the next few weeks, the mechanics trimmed the trigger lanyards on the canisters and then taped the ends down, believing that this would prevent accidental discharge. They attached green “Repairable” tags to the generators, apparently unaware that the canisters could not be re-used, and packed them into five cardboard boxes. On the “Reason for Removal” portion of the tags, mechanics had jotted various notes from “Out of Date” to “Expired” to the cryptic “Generators have been expired fired.” Valenzuela signed off on Work Card #0069, indicating that all the necessary steps and safety precautions had been taken (including the installation of safety caps) and the five boxes were moved to SabreTech’s shipping department. A SabreTech stock clerk drove up to Flight 592 on the tarmac shortly before takeoff and told ramp agent Christopher Rankissoon that he had five cardboard boxes and three aircraft tires bound for ValuJet headquarters in Atlanta, and asked if there was room for his cargo on this flight. Rankissoon noted the COMAT (Company Material) labels on the boxes and took the shipping paperwork from this last-minute load to co-pilot Richard Hazen. He told Hazen that “the only place I’ve got room is in the front.” The forward cargo hold was located just below and behind the cockpit, and was not equipped with smoke detection or fire suppression equipment. The additional freight would not put the flight over its weight limit, so Hazen gave his approval, despite the fact that the bill of lading indicated that the boxes contained “Oxy Cannisters (sic) – Empty.” Discharged oxygen canisters are categorized by the FAA as hazardous material, which ValuJet was not licensed to carry. Baggage handler Dennis Segarra stacked the boxes and the tires inside the cargo hold. While doing so, he heard a metal-on-metal “click”, but could not determine the origin of the sound. He braced the boxes between the tires and other passenger baggage and closed and latched the door. Unbeknownst to anyone aboard, as Flight 592 taxied to the runway, a fire was already burning in the forward cargo hold, sparked by the ignition of at least one of the boxed canisters, fueled by a combination of the emitted oxygen and the combustible tires nearby. The plane pushed off from gate G2 at Miami International Airport at 2:05PM, bound for Atlanta, Georgia. According to the Cockpit Voice Recorder, at 2:10 a chirp and a beep were heard in the cockpit. Pilot Candalyn Kubeck asked “What was that?” to which Hazen replied “I don’t know.” Seconds later, Kubeck announced “We’ve got some electrical problem,” and Hazen chimed in “That battery charger’s kicking in, ooh, we gotta..."
"We’re losing everything,” Kubeck replied as she radioed Miami tower for permission to return for an emergency landing. Meanwhile, below deck, the flames had melted the crucial wiring that ran beneath the floorboard of the plane (causing the electrical failure noted by the pilot) and were beginning to penetrate the floor of the passenger area, causing cries of “Fire! Fire!” from the passengers as the cabin filled with smoke and toxic fumes. A female voice, later determined to be that of a flight attendant who had opened the cockpit door because the intercom wasn’t working, stated “We’re on fire! We can’t get oxygen back here!” The last transmission from the cockpit was “We need the closest airport available…” All 110 souls on board perished in the resulting crash. 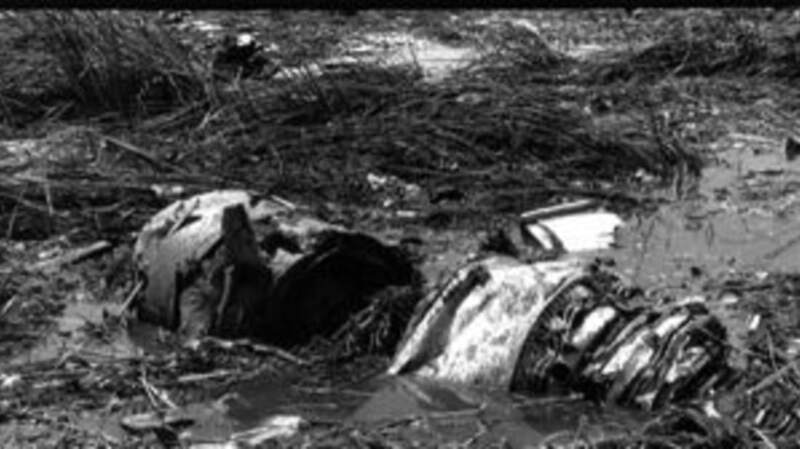 The National Transportation Safety Board determined that three parties were at fault for the crash of Flight 592: SabreTech for improperly packaging and handling hazardous materials, ValuJet for not properly supervising SabreTech, and the FAA for not requiring smoke detectors and fire suppression equipment in all cargo holds. Years of legal wrangling and various appeals followed, and ValuJet ultimately went belly-up in November 1997. A year later, the FAA revised its regulations and required all cargo holds on passenger aircraft to be fitted with devices to detect and extinguish fires. The previously small village of Collinwood, just outside of Cleveland, experienced a population boom in the early 20th century thanks to the railroad industry. As depots and terminals were constructed in the area, more and more families settled into the tiny hamlet. Unfortunately, other local construction didn’t keep pace with the burgeoning railroad. By 1908, the local elementary school, known as Lake View, was overfilled with 350 students packed into nine classrooms. The three-story structure had two main entrances (contrary to legend, the doors did open outward), two staircases, and an exterior fire escape on the north side of the building with access from the third floor only. The exterior of the building was brick, but the interior floors, walls, stairs, and supports were all made of wood. The stairways were open with no fire doors in place. The exits consisted of two sets of double doors with a small vestibule in between. A vertical doorframe divided both sets of doors, and the left-hand inner door of each set was on a spring that automatically pulled it closed (and locked it) if it wasn’t being held open. Like most towns in 1908, Collinwood's fire trucks were horse-drawn, so it took some time for firefighters to reach the school. Once they arrived, the crew found that their gas-driven pump didn’t have the power to spray water onto the upper stories of the building. Meanwhile, news had reached the town, and police, parents, and nearby railroad workers flocked to the scene to do what they could to help. It was a heartbreaking task, many would relate later, being unable to pull students through the narrow doorway because they were crushed into a pile, one atop the other. One burly railway man had tears running down his face as he described the scene to newspaper reporter: “They were packed so tightly… we couldn’t pull them out.” By the time the fire was finally extinguished, 172 students, two teachers and one rescuer had perished. The cause of the fire was never officially determined, but the local fire marshal speculated that a poorly-insulated furnace pipe ignited a nearby wooden joist. The Collinwood tragedy had nationwide impact; shortly after the disaster, "panic bars" became mandatory on exit doors in public schools. In public buildings in Ohio and many other states, officials relocated basement boilers to safer locations and retro-fitted buildings with alternate escape routes. London’s Underground (“subway” to us Yanks, or "the Tube" to the locals) is the oldest underground railway in the world. It first utilized electric trains in 1890, and since then, the Tube has become a staple means of commuting around England’s capital city, transporting over one billion passengers per year. So many Londoners depend upon the Underground for their daily transport that shutting down even one station can cause major service disruptions and enough public outrage to make the folks in charge abide by the “if it ain’t broke, don’t fix it” philosophy. That particular rule of thumb meant that the majority of the equipment deep in the bowels beneath London had been built and installed prior to World War II. The escalators leading from the streets above were made of wood, and the machinery beneath them were filled with half a century's accumulation of grease, oil and “fluff” (dust, lint, clothing fibers, rat fur, discarded tickets, etc.) Officials had banned smoking on the Tube two years earlier, but the rule was not strictly enforced, and passengers regularly lit up as they exited the train and headed up to the surface. King’s Cross is an interchange serving six different lines, making it one of the busiest stations on the Underground. Escalator #4 led from the Piccadilly line, 80 feet below ground, up to the large Ticket Hall (a reception-type area just below ground with ticket and information booths, vending machines, and the entrances/exits to the various train lines). A short flight of stairs led from the Ticket Hall to the street entrance. Rush hour in central London is usually over by 7:30PM, but on the evening of November 18, the Tube was more crowded than usual thanks to Christmas shoppers and tourists arriving to see the famed Christmas lights along Regent Street. An escalator passenger saw a bright glow coming from beneath the stairs and punched the “Emergency Stop” button. Police rushed to the site seconds later, by which time tiny flames were starting to poke through the gaps between a few escalator steps. Small fires like this were not uncommon on the wooden escalators, and usually only required a fire extinguisher or two to contain, so officials began evacuating the passengers calmly with no particular sense of alarm. Just 10 minutes later, however, the heat and smoke grew so intense that police stopped directing people up the escalator that ran parallel to #4. Suddenly, a huge blast of fire (survivors would describe it as “like a blow torch or a jet”) raced up the escalator well and exploded into the Ticket Hall. Smoke poured out of the exits onto the street. Bravely but against regulations, the first few London firefighters on the scene ran inside without respiratory apparatuses in response to the cries for help they heard coming from the station. The suddenly superheated air, combined with toxic fumes and thick black smoke, caused most victims left in the Ticket Hall to collapse before they could find their way to an exit. Firefighters dragged as many victims as they could find out to the street until they too collapsed, one by one on the pavement, barely able to breathe. Thirty-one people perished in the blaze, including a 23-year veteran Fire Brigade Captain, who’d rushed in without an oxygen mask and assisted several people to safety before succumbing to smoke inhalation. The initial spark that caused the fire was believed to be a passenger’s carelessly discarded match, which ignited the fluff-packed grease beneath the stairs. But a more important question remained: how did a seemingly simple little “campfire” explode into a sudden inferno? After almost a year of study, investigators discovered a phenomenon that led to a new entry in the world’s fire-fighting glossary: the trench effect. The trench effect occurs in an inclined shaft containing combustible materials (i.e. wooden escalator stairs climbing upward at a 30 degree angle). Instead of extending skyward, as the flames from a typical house fire would, the degree of incline in the wooden stairs caused the buoyant plume to spread along the escalator floor and create a rapid airflow. While gases curled over and over towards each next step above, the airflow in the trench increased to such a point that it created a flamethrower effect. As a result of this tragedy, the London Underground took steps to replace all wooden escalators, install automatic sprinkler systems and heat-detection devices in escalator areas, and require regular cleaning of the machine rooms underneath escalators to eliminate grease and fluff build-up. Your comments are always welcome, but PLEASE check out the previous entries in this annual series (part one and part two) before you list a fire that you feel we should cover next time.